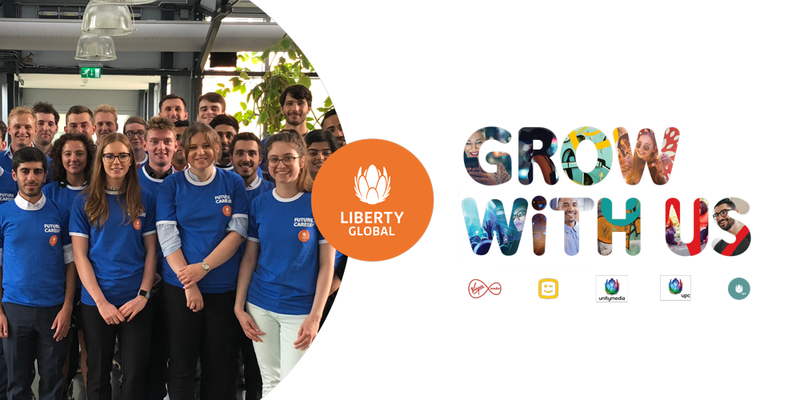 At Liberty Global, our international graduate schemes are tailor-made to fast track your career in the dynamic, energetic and unique environment of one of the world’s largest TV and broadband groups. Our operations span 10 European countries, operating under trusted brands such as Virgin Media, Unitymedia, Telenet and UPC. Finance is an essential part of any business, and our dedicated graduate scheme will give you the opportunity to develop both your functional and technical expertise – whilst studying for a professionally recognised qualification and cultivating your future leadership credentials. We aim to be a world-leading finance organisation; striving for effective deployment and optimal returns on capital, delivering an efficient control and planning framework, and driving our levered equity strategy. We offer a three-year graduate scheme, based across our group locations that’s been designed to accelerate your progression through end-to-end exposure across the Finance organisation. The role features a series of 12-month rotations across a range of departments where you can experience the different facets of our finely-tuned Finance operation, while gaining a wider understanding of the business and contributing towards our unrivalled success. Essentially, you should have a 2.1 or above degree in any discipline – we’re seeking talented individuals above specific qualifications. And, as the scheme provides the possibility of international assignments across Europe, you must be eligible to work in both the EU and UK, globally mobile and fluent in English. We want graduates who are passionate about pursuing a career in Finance as well as being curious thinkers who enjoy being challenged and are confident enough to question the ways we work. Our successful candidates should be resilient leaders who are capable of collaborating with others, analysing problems and coming up with ideas that will inspire and influence our senior leaders. At Liberty Global, we will also fully fund and support you to achieve your CIMA qualification with generous study leave and pay progression that are both way above the industry standards. If you are interested in furthering your Finance career in a culture that encourages you to develop your skills, experience different environments and realise your ambitions why not apply now! Deadlines may need to be brought forward due to the popularity of these programmes. We would encourage you to apply as soon as possible. We empower our customers to connect to the entertainment, experiences and people they love. Liberty Global is the world’s largest international TV and broadband company, with operations spanning 10 European countries under trusted brands such as Virgin Media, Unitymedia, Telenet and UPC. We innovate to create a positive impact across every element of our business and ultimately, society. We empower our customers to connect to the entertainment, experiences and people they love.